UPDATE! SPRING 2017: MILL CREEK REGIONAL PARK IS CLOSED. Due to extensive flooding damage to this park, it is closed. A recovery plan is being prepared but until repairs have been completed the trail will remain closed for the remainder of 2017 and well into 2018. 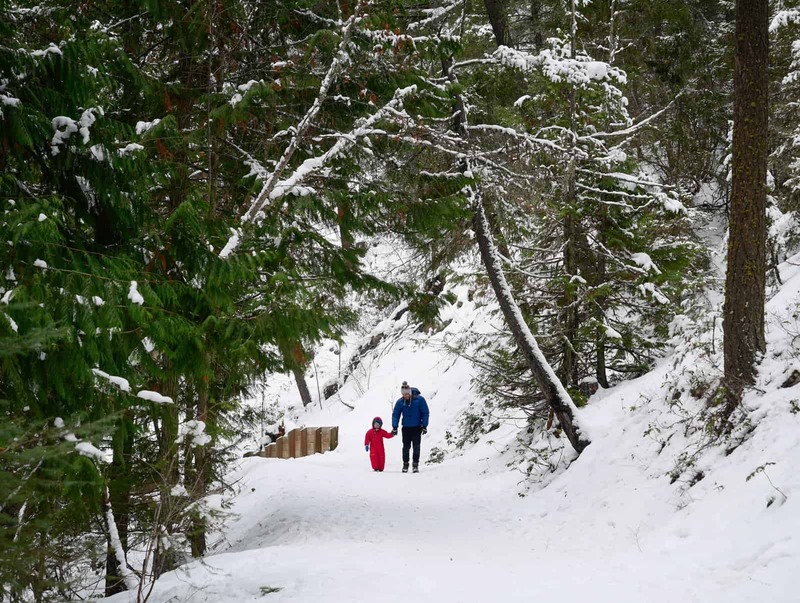 Mill Creek Regional Park is a 15.3 hectare area located at the north-east end of Kelowna, BC. The area protects Mill Creek, an important water source, and the riparian habitat that surrounds it. 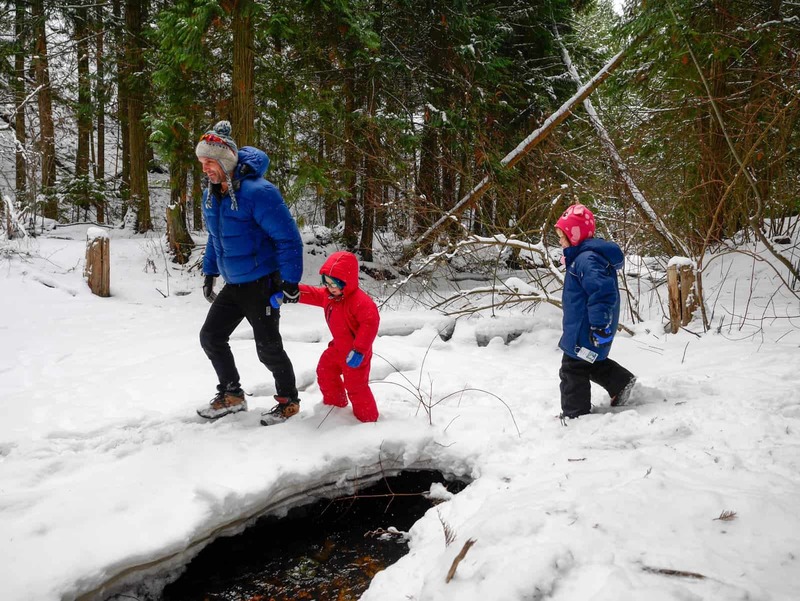 There are many features along this trail such as the cascading waterfalls, pools of water, unique forest, bridges and boardwalks that make this park a great place for family adventures all year round. The park entrance is located on the right-hand side of Spencer Road, which is about 1 km down Old Vernon Road off Highway 97 North. 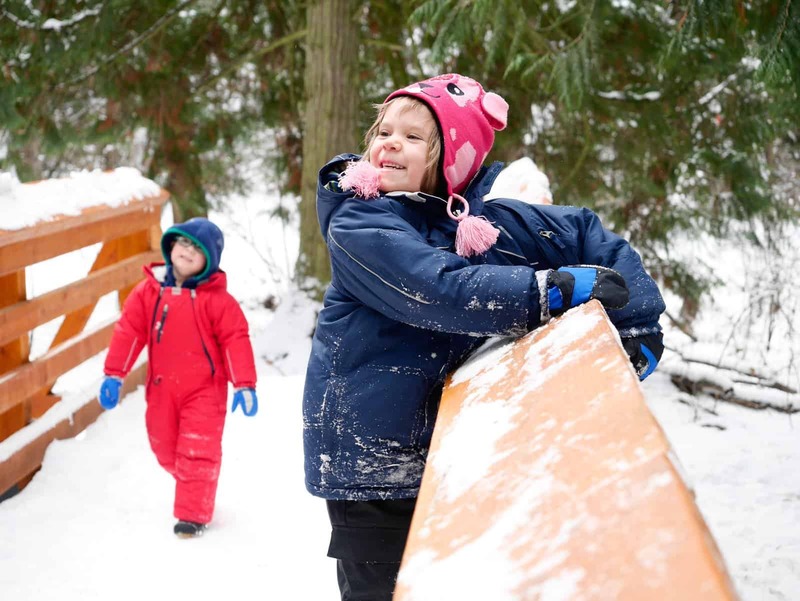 Several websites state that the park is open spring, summer and fall but closed during the winter months; however, when we visited at the end of December the park gates were open. The parking area is decently sized but there are no outhouses there. The trailhead starts at the opposite end of the parking lot. The trail forks almost immediately but the two trails reconnect further along so either is fine to take. We opted to take the path veering left which crosses over a bridge, climbs a set of stairs, follows a boardwalk and continues onward gradually climbing while paralleling the creek. There are several waterfalls along the creek and we took our time exploring the trail and creek side. 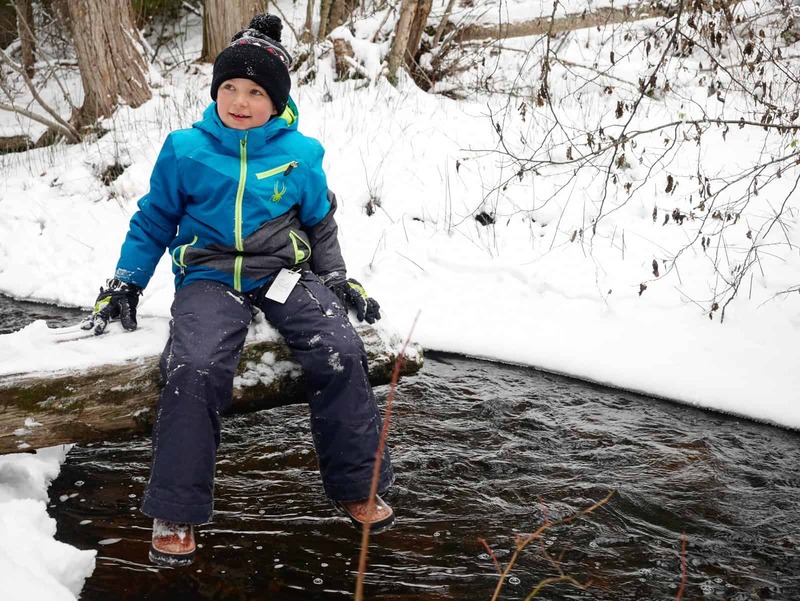 It’s important to be very careful around creeks and waterfalls in the winter, especially with children. The trail is about 2.8 km long but it gets narrower and steeper further along. 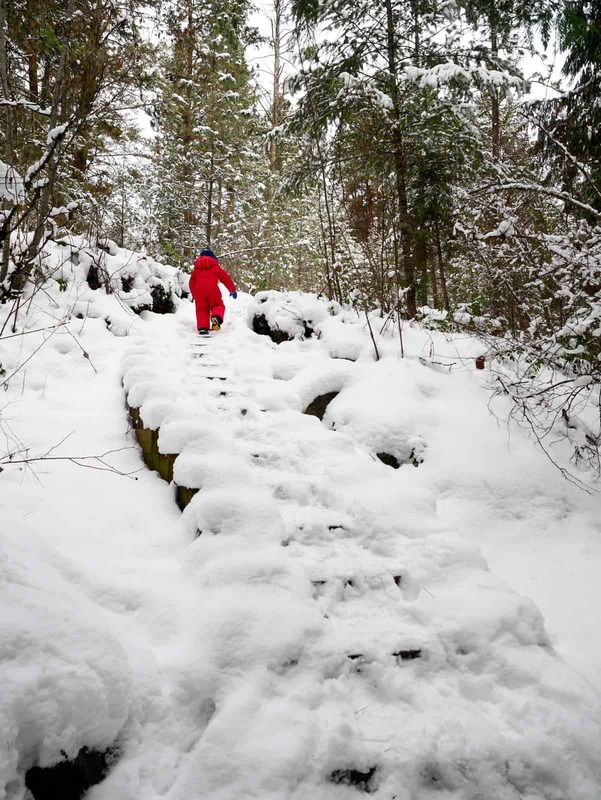 We opted to turn back because the trail was too steep and slippery for some in our party. If there is snow and ice on the trail, good hiking boots and poles are a necessity for the last stretch. Even if we didn’t make it to the end everyone really enjoyed the hike and we look forward to returning again in the summer to get to the end.